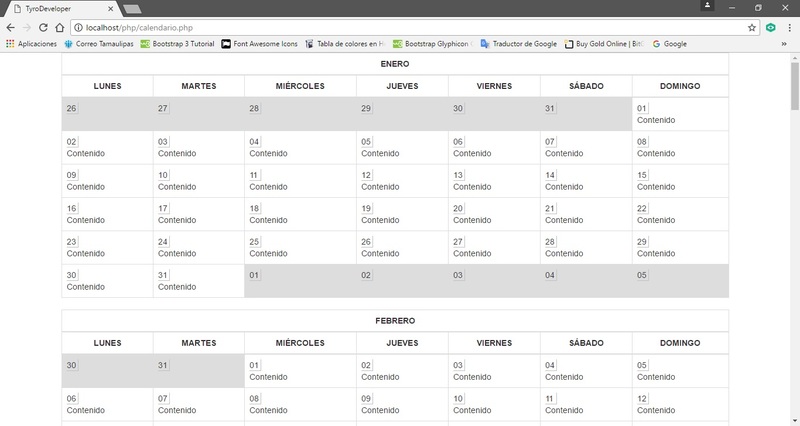 Ahora les mostraré como dibujar un calendario en PHP. "<tr><th colspan='7' class='text-center'>" . ObtenerMes ( date ( 'm', strtotime ( $fechaIni ) ) ) . "</th></tr>" . "<tr> " . " <th class='text-center'>LUNES</th>" .